KARPATSMOLY LLC is one of the largest manufacturers of ureaformaldehyde resins types E1, ½Е1 and E0 and melamine resins UMF, MUF, UF in Ukraine. Our products are used mainly in the woodworking industry for the board production of different purposes: particle board, MDF, HDF, OSB, plywood and other products of the furniture industry. 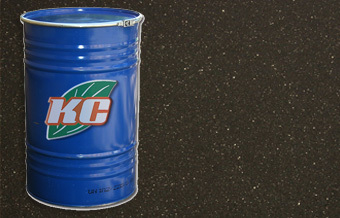 The main advantage of the company is the fact of single manufacturing of low-toxic resins. The usage of modern technologies allows to overtake and implement in production new kinds of products in the short terms. The uniqueness of the applied technology allows to quickly respond to market demands, because today urea resins, and compositions thereof, which are used not only in the traditional wood-processing industry, but also in electrical industry, mechanical engineering, building industry, production of building materials etc..
Usage of energy-saving technologies and the availability of ancillary own power plants, makes the production stable and enterprise is independent from external factors. KARPATSMOLY LLC was founded in June 2005. The plant was built on the industrial area in Kalush, Ivano-Frankivsk region during 2005-2007. The plant was put into operation in March 2007. During 2011-2012 there was made the modernization of existing production capacity and acquired the latest technology from innovative European company «Chimar Hellas», which helped to diversify the types of products to start production of low-toxic resins and start cooperation with European product consumers. The main profile of the company – production of ureaformaldehyde resins, urea – formaldehyde concentrate and formalin. These products are widely used, mainly in woodworking industry for the manufacture of particle board, MDF, HDF, OSB, plywood and other products of the furniture industry as well as in the chemical sector, medicine and agriculture. Today the company is a leading manufacturer of urea-formaldehyde and melamine resins for various purposes on the territory of Ukraine and is also the sole manufacturer of resins with low formaldehyde emission (E0, ½E-1. CARB II, F ****) at the level of natural wood. Production capacity today is approximately 100 thousand tons per year, 25 thousand tons of which urea – formaldehyde concentrate and formalin, others – urea-formaldehyde and melamine resins for various purposes. KARPATSMOLY LLC – is an enterprise of European ecological security level and the new European technologies that ensure high product quality and compliance with international standards. 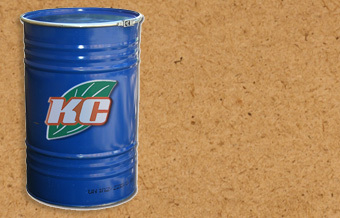 Having its own facility for the production of urea-formaldehyde concentrate and formalin from the famous European company «ALDER», allows you to control all stages of resin production unlike other competitors and ensure cooperation with well-known European and Ukrainian producers of wood plates and postforming: LLC “Krono-Ukraine” , JSC «Korostens’kyi MDF plant», IKEA, Egger and other companies. About 80 employees contribute to success of the company today. Optimal plant location and flexible work cycle enables the company to respond quickly to market demands and changes in consumer demand. In the nearest future the company plans further expanding the range of products, production of new types of low-toxic resin with the use of the latest developments and European technology. The mission of KARPATSMOLY is the life safety of the consumers. We make your life safer. Main philosophy of KARPATSMOLY is a belief that this is indeed useful for human products which are safe for the environment. Production is located in the west Ukrayiny.Take geographical position allows the company to ensure delivery of products to customers in Western Europe in no time. Nowadays Products Ltd. has taken its place in the European market and is available in Europe. This is a completely new production, with European level of safety and environmental technology which is used in Europe. Our company established Italian equipment. It’s a vicious cycle and waste-free production. Pitch Class E-1 contains a minimum proportion of formaldehyde, which has helped to reduce the damage of the component on human health to almost nothing. This equipment makes it possible to produce a product that meets the highest demands of consumers for quality. Our products are supplied to the domestic market as well as the markets of Western Europe. – Karbamidoformaldehidnyy concentrate CFC-70 (grade A, grade B). Production of KARPATSMOLY LLC is intended to be used in the woodworking industry for wood and fiberboard medium and high density, approximately chipboard type OSB, plywood and other types of plates, which are characterized by high mechanical strength and water-repellent properties. The use of resins produced by KARPATSMOLY LLC in the woodworking industry allows production of wood plates classifies E-1, ½E-1, E0, CARB II, F ****) that meets the highest European standards. There is established Italian equipment at our company. It’s a vicious cycle and waste-free production. Pitch Resin with E-1 classification contains a minimum proportion of formaldehyde, which has helped to reduce the damage of the component on human health to almost nothing. This equipment makes it possible to produce a product that meets the highest consumers’ demands to the quality. Resin with low formaldehyde emission (E0, ½E1. 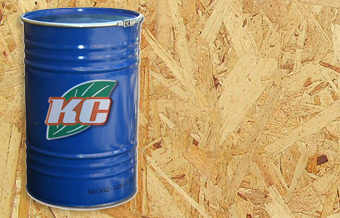 CARB II, F ****) is non-toxic and formaldehyde emissions in life is at the level of natural wood. Urea-formaldehyde resin is used in the manufacture of chipboard with lowered toxicity (Class E-1, 1/2 E-1, E0), medium density fibreboard. Melamine-urea-formaldehyde resin is used in the manufacture of chipboard such as OSB, plywood and other types of plates. Urea-melamine-formaldehyde resin is used in the production of high density fiberboards (HDF), chipboards and plywood. 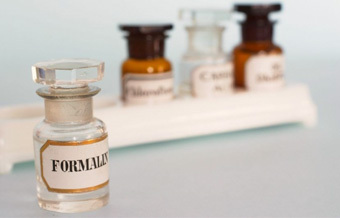 Formalin is used for grain and root crops etching in agriculture. 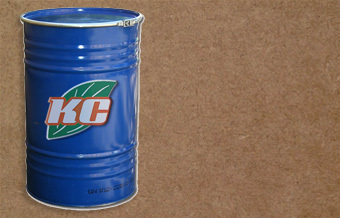 It is also used as a raw material in the chemical industry and as a disinfectant in medicine. Our certified laboratory conducts laboratory research of UFC and resins of boards for various purposes on Your order. Also additives:hardeners, formaldehyd ebinders (to reducethe content of formaldehyde). In March 2014, our resin successfully passed laboratory tests and taken to the foundry on two machine-building enterprises, LLC “Azov Casting and Mechanical Plant” Berdyansk and PJSC “Berdichev Machine-Building Plant” Progress ” Berdichev.